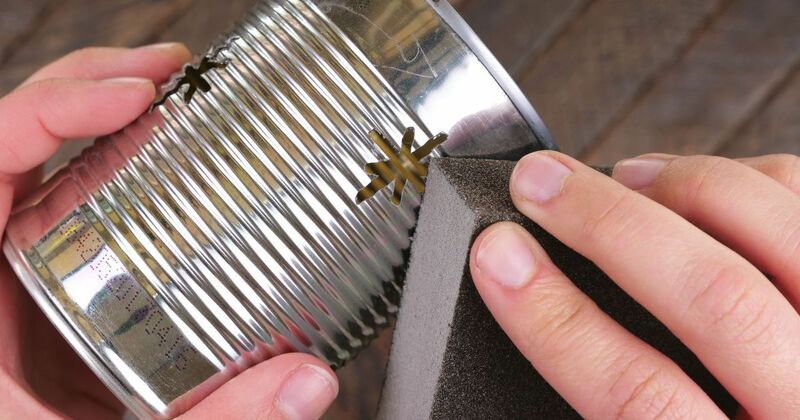 It's easy to create these DIY crafts when you have spare tin cans around the house. Fun and practical, learn how to create pencil holders, grocery bag holders, a craft caddy and more. These inexpensive projects are quick and easy -- they can even be given as gifts! DIY crafts are easy to modify. Customize the colors of each project to compliment your home or office. Add your own personal touches using these instructions as a guide. Compliment your kitchen workspace with a decorative grocery bag holder. 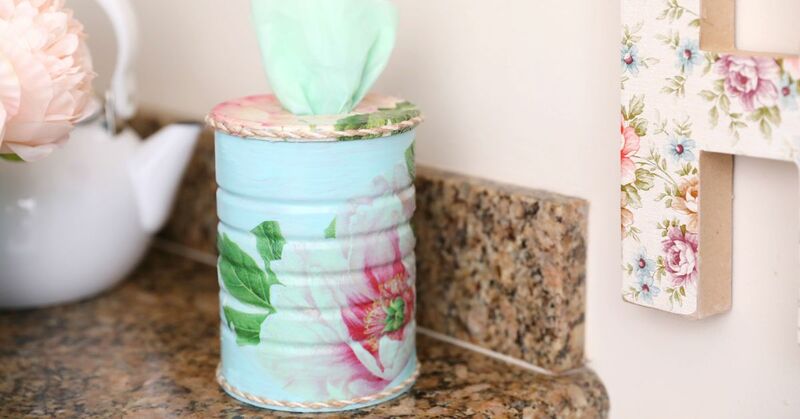 Embellish a tin can with a favorite design, and decorate a matching lid. Get the full tutorial here. 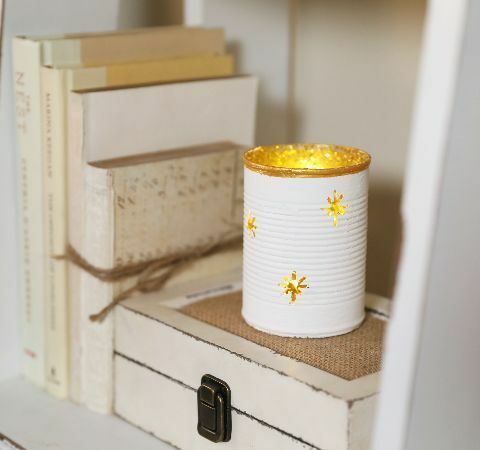 Create this adorable night light with the use of a rotary tool, paint, glitter, spray adhesive and battery-operated LED lights. Use a sanding block to ensure the sharp edges of the can are smooth. Learn how to cut the design into the can and complete the craft with this tutorial. 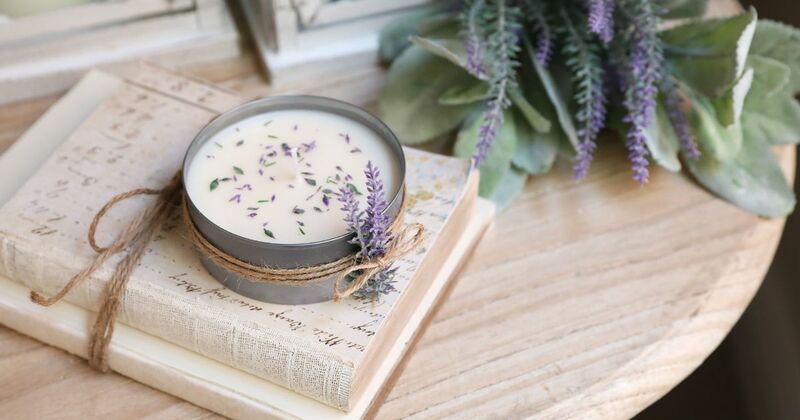 Natural and comforting, this lavender candle offers a warm and decorative touch. Tie twine around the tin candle holder for a rustic look. Add sprigs of lavender to the twine to enhance the aromatic effect. Get the full tutorial here. 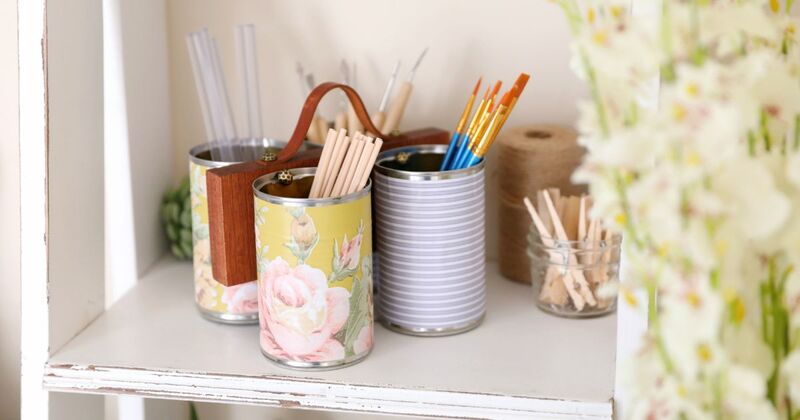 Inexpensive and practical, tin cans make the perfect craft caddy. The wood centerpiece holds the cans as one unit for easy portability. Fill each can with craft supplies. Get the full tutorial here. 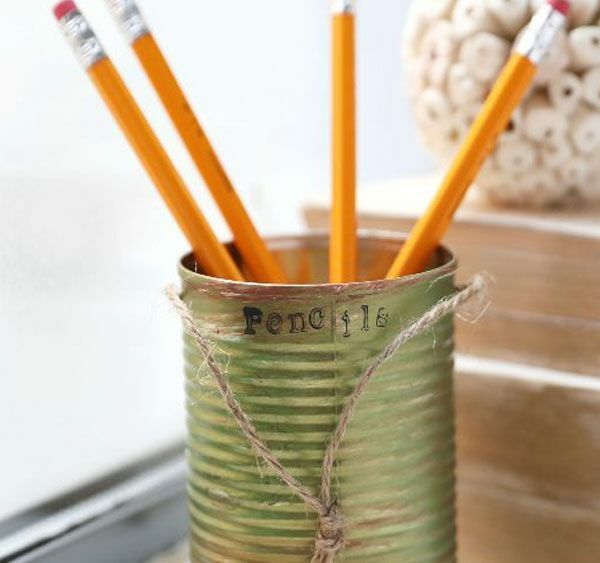 Painted with metallic colors, this unique pencil holder has an industrial look. The word "Pencils" is stamped on its top rim, giving it a quirky design. It has a handle fashioned from twine. Get the full tutorial here.